Run for a Position in the GSA! The GSA is made possible by the dedication of our graduate students themselves. In order to maintain continuity, the election of our Officials and Senators are staggered. Elections take place electronically every Spring semester (March 18 - March 24, 2019). Nominees should review the Constitution to ensure compliance before submitting a nomination. Nominations close on March 13, 2019; elections will be held from March 18 - March 24, 2019. 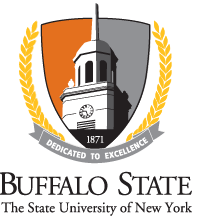 Voting eligible students will receive an email in the Buffalo State email accounts. Two students will be elected from each academic school and one for the Graduate School. Nominations close on September 7, 2018; elections will be held from September 10 - 16, 2018. These positions are on college committees and are not affiliated with the GSA. The GSA manages the election of these positions. For more information, visit the links below. Nominations and voting takes place in the spring semester. Nominations close on Wednesday, March 13, 2019; elections will be held from March 18 - March 24, 2019. Come to a GSA Senate Meeting! One of the most important responsibilities of being a member of a community is to engage and contribute to the growth and support of that community. All members of the SUNY Buffalo State community are urged to attend the GSA Senate meetings. Our schedule of upcoming meetings are below, or you can inquire by contacting us at gradstudentassoc@buffalostate.edu. Click the link for the meeting's agenda. All meetings are held at 5:30 p.m. in the Technology Building, Room 160. The Social Welfare Committee is charged with examining graduate student life and recommending policy related to: graduate students' intellectual/academic, psychological, physical, social, and cultural well-being, academic matters, services available to graduate students, and faculty-student-administration relations. The Budget Allocation and Policy Committee is charged with periodically reviewing the GSA Constitution for accuracy and alignment with practices of the Senate and reviewing the use of funds spent by the GSA. This committee reviews constituent questions and/or concerns regarding funding requests and/or funding decisions made by the Treasurer. This committee also assists the Treasurer in making any funding decisions when s/he requests their assistance.